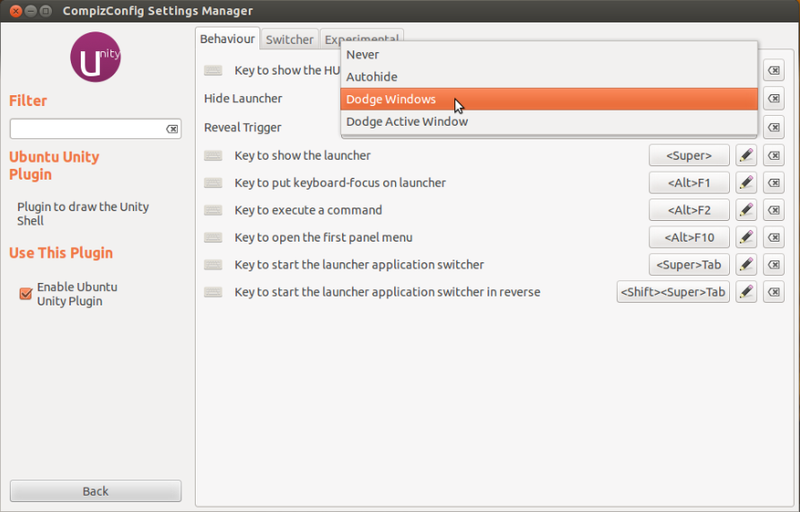 In previous Ubuntu Unity Launcher’s auto-hide behavior there’s a ‘dodge windows’ option. This feature’s dropped from Ubuntu 12.04 Unity. damianatorrpm has created a couple patches that will revert the Canonical changes and re-add the behavior back to the source. The patch was applied to the latest release of Unity 5.12.0 also with the ability to be able to click a program’s icon on the Launcher and minimize/unminimize that window. NOTE: If you used the alternative method originally, please remove ~/.compiz-1 and the ‘staging’ folder before using the PPA method. Now you’re done. In next login launch Compizconfig Settings Manager(sudo apt-get install compizconfig-settings-manager), ‘dodge windows’ option is back in Unity Plugin’s configuration page. 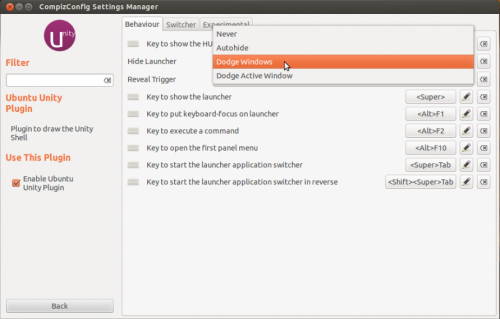 4 users responded in " Ubuntu 12.04 Get Back Unity Launcher ‘dodge windows’ Feature "
I need help: why this didn’t work for me? me too help please, autohide, and the launcher no change after this option? I needed to perform finally a “compiz –replace” to see it properly active without having to reboot.